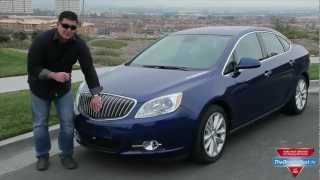 Buick has recently announced the new and upcoming Verano Turbo 2013, a luxury sedan boasting a small and economical yet powerful engine, a lot of standard equipment, advanced technologies and an overall more efficient sedan which retains its smooth, quiet character as before. The upcoming Verano boasts one of the 10 best engines for North America, the 2.0 liter turbocharged Ecotec direct injection unit able to develop 250 horsepower ad 5300 rpm and 260 lb-ft of torque at 2000 rpm. One of the interesting facts about this power plant is that more than 234 lb-ft of torque is available between 1700 and 5500 rpms. The unit is paired up with either a six-speed automatic transmission or a six-speed manual, and it can go from 0 to 60 mph in roughly 6.2 seconds. 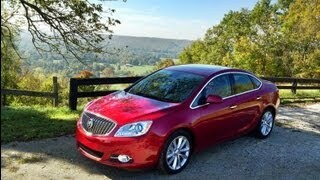 As far as fuel efficiency goes Buick has not revealed any exact numbers but promised that the new 2.0 liter Ecotec unit will be able to cover more 30 miles per gallon highway. Since the 2.4 liter Verano boasts a fuel efficiency of 21 / 32 mpg, the 2.0 liter Ecotec will also be somewhere along those lines. That's not bad when compared to the Jetta GLI, the Audi A3 or the Acura ILX which delivers 22 / 31 mpg ciy / highway but offers 50 horsepower less than the Verano. In terms of performances the engine is not the only new element brought to the table by the upcoming model, as it also comes with a better suspension which is supposedly 15 to 20 percent stiffer than the suspension found on the ongoing model, and the electric power steering has been tampered with in order to provide better handling with no compromise in ride comfort. 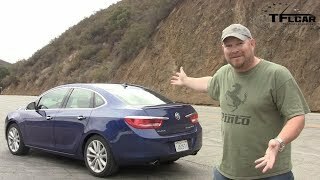 As for standard equipment we've already mentioned that the Buick Verano has a lot to offer, so let's take a look at some of the things we can expect from the 2013 model. 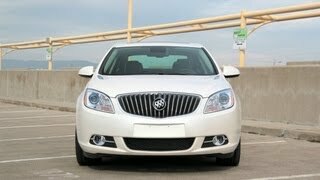 As a standard, the Verano 2013 comes with heated seats and heated steering wheel, as well as a nine speaker BOSE audio system, a seven-inch touch screen infotainment system, push button start, cross-traffic and blind-zone detection, a rearview camera and a set of 18-inch wheels. 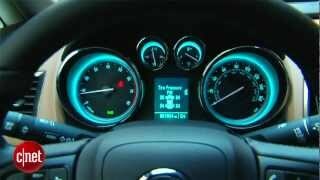 Overall the Buick Verano Turbo 2013 promises to deliver a better ride, better handling whilst at the same time offering more comfort, better performances and lower fuel consumption. Price and availability wise the 2013 model will hit the showrooms later this year at the base price of $29,500.